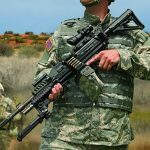 Textron Systems may soon be equipping US soldiers with its Lightweight Small Arms Technologies machine gun and CT ammo. 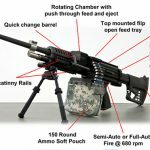 Textron Systems’ Lightweight Small Arms Technologies (LSAT) machine gun uses advanced 5.56mm CT ammo to offer the same performance as the current M249 SAW, but with much less weight to lug around in the field. 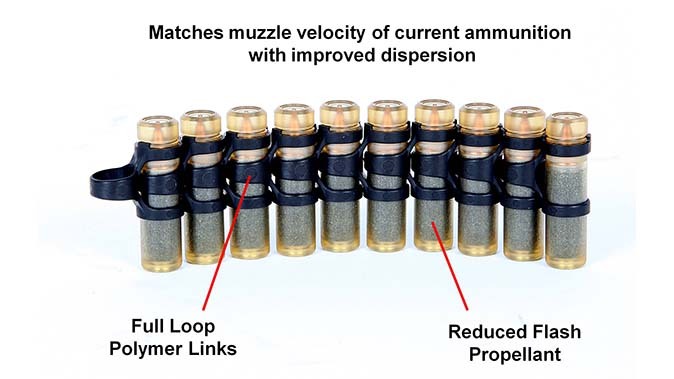 CT rounds match the muzzle velocity of current rounds with improved dispersion. 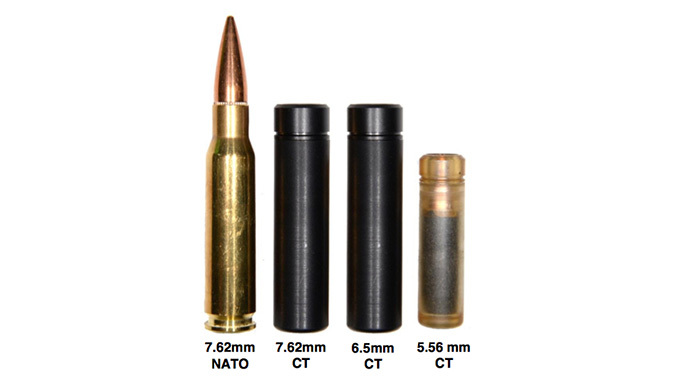 Here you can see three types of CT rounds compared to a traditional 7.62mm NATO cartridge. With the CT rounds, the same injection-molded polymer tubes can hold both 6.5mm and 7.62mm projectiles. 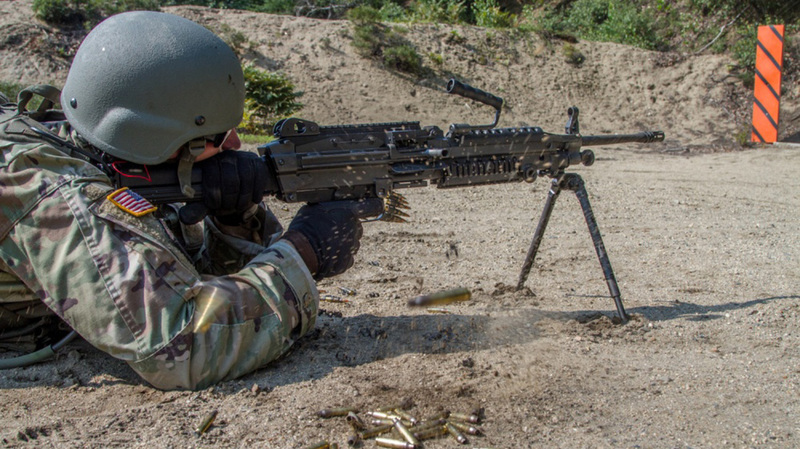 Compared to the M249 SAW, the LSAT LMG has reduced felt recoil, potentially more reliability and reduced maintenance, a decreased risk of cook-offs, and a selectable semi-automatic mode. 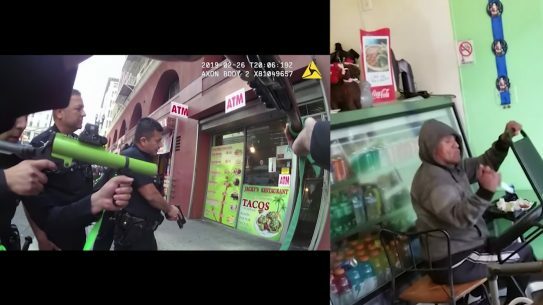 CT weapons have already been subjected to a number of field tests by military personnel, and so far it seems the systems are suitable for harsh sustained use. In 1867, the British War Office adopted the Eley-Boxer metallic centerfire cartridge case in the Enfield Pattern 1853 rifles. These were converted to Snider-Enfield breechloaders based on Jacob Snider’s design. In America, Springfield Model 1861 muzzleloaders were converted to breechloaders based on Erskine Allin’s design, creating the Model 1865. There have been improvements in metallurgy, cartridge and firearm design, but general-issue rifles and machine guns have been using metallic cartridges ever since. 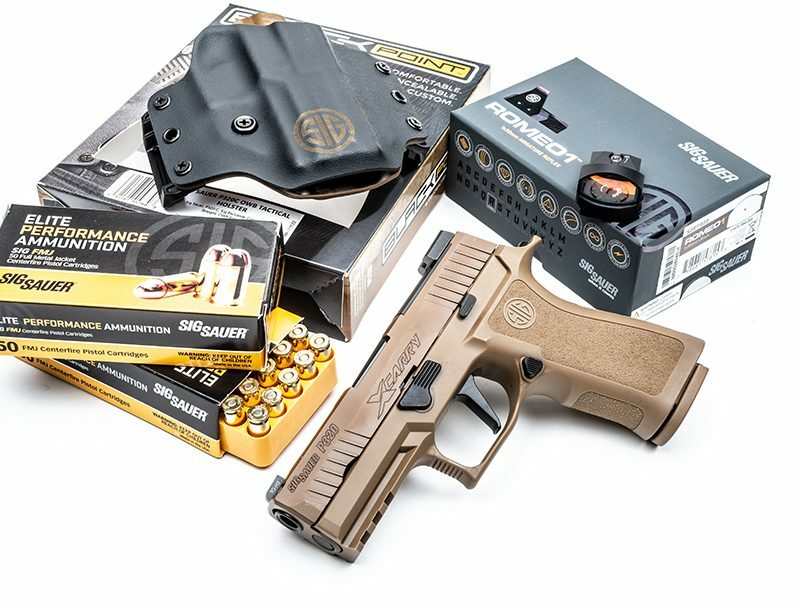 Metallic cases contain, protect and hold the components in proper place during carry, chambering and firing. They help seal the chamber during firing. They then act as a heat sink, removing some heat from the chamber during ejection. The downside is the container often weighs about as much as the active components it contains. 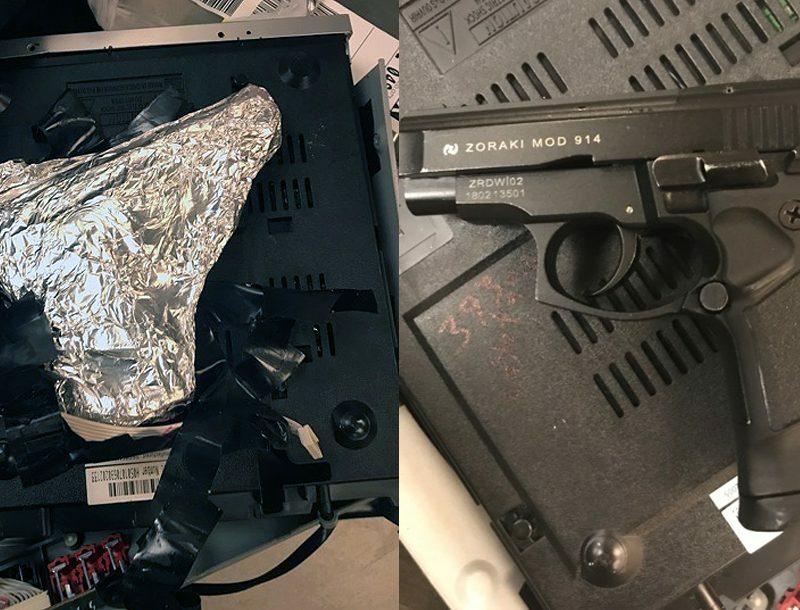 But attempts to do away with the cartridge case in self-loading small arms have yet to make it past the prototype stage. Textron Systems has an improvement well past the prototype stage. 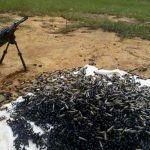 It’s already been through real field testing and training with American troops—Cased Telescoped (CT) ammunition and weapons designed to shoot it. CT systems provide the same capabilities as currently issued weapons and ammo at about 40-percent less weight. 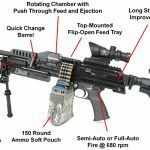 U.S. Army testing of Textron’s CT-based 5.56mm light machine gun (LMG) and ammunition validated the system’s maturity, performance and weight reduction. 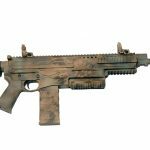 Textron Systems has a long history designing and manufacturing armament and ammunition technologies, having been involved in many U.S. Army small-arms development programs for the past five decades. 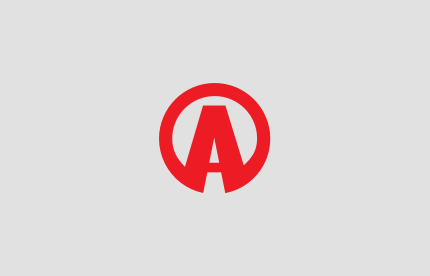 Textron oversees a team of companies for this particular project, including ARES, Inc., Orbital ATK, St. Marks Powder (a General Dynamics company), MSC Software and Battelle Memorial Institute. CT ammunition weighs 35-percent less than metallic cartridges. To date, over 100,000 rounds of 5.56mm NATO CT ammunition and eight LMGs have been produced for numerous formal assessments. 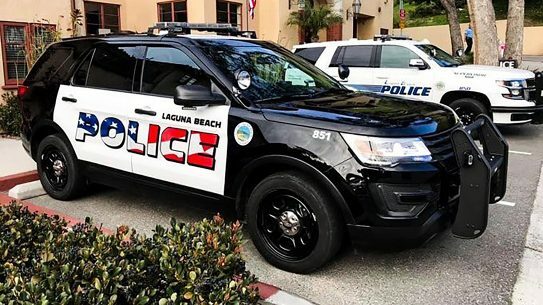 This includes testing by the Maneuver Battle Lab at Fort Benning, U.S. Special Operations Command at Fort Bragg and the Dismounted Non-Network Enabled Limited Objective Experiment sponsored by the Army Capabilities Integration Center at Fort Benning. This last test assessed a host of capability improvements for small units. It went from August 6 through September 24, 2013. 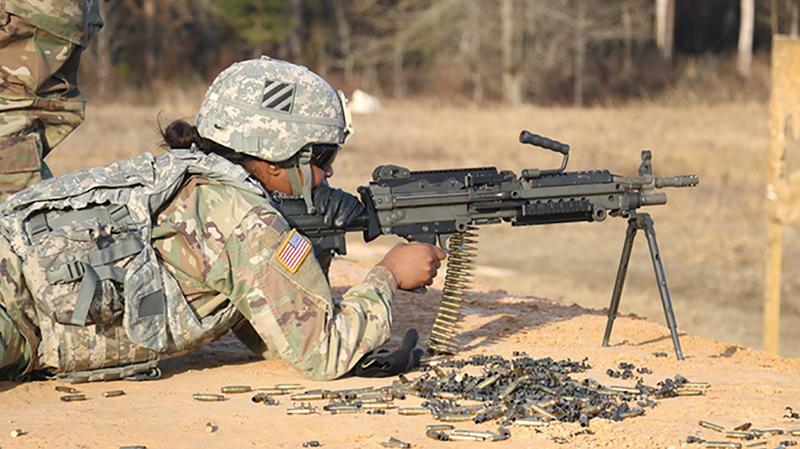 An entire dismounted platoon—three rifle squads and one weapon squad—conducted a series of range events. This includes CQB, long range, squad live fire and suppressive fire with a capstone 72-hour force-on-force event. These tests indicated that the lighter-weight systems improved short-range engagement times. 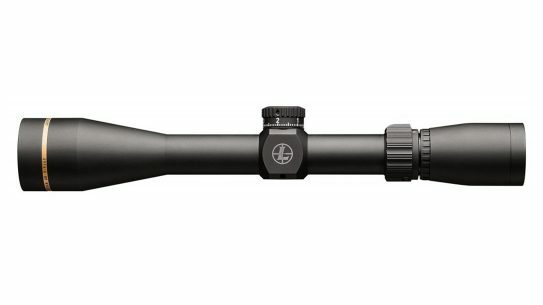 The systems also led to more first-round hits at long range and increases in accuracy due to recoil mitigation. Improved maneuverability due to decreased weight—specifically when conducting individual movement techniques and transitioning from shooting positions—and options for leaders to carry more ammo improve mission capability. 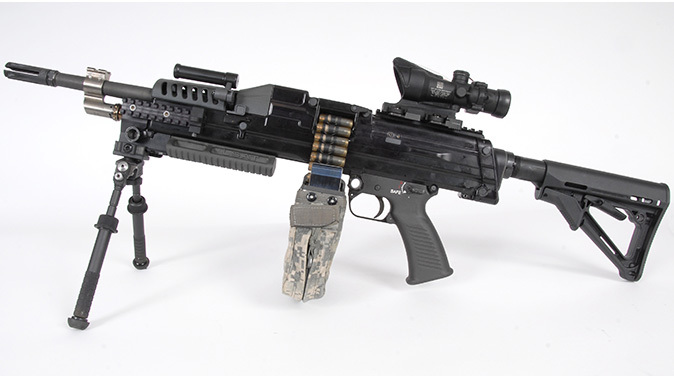 On the government end, the program is managed through the Joint Service Small Arms Program (JSSAP) Office of the Army’s Armament Research, Development and Engineering Center (ARDEC) at Picatinny Arsenal in New Jersey. The weapon and ammunition were designed as a system. Each contributes key characteristics required to obtain successful function and performance. The heart of this system is the CT ammunition. A conventional metallic rifle cartridge has the bullet held in the neck, with the propellant in the case body and the primer in the case head. 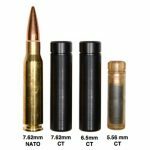 CT ammunition consists of a polymer tube completely covering the projectile, which is surrounded by the propellant inside. A conventional primer is seated in the CT tube’s base. 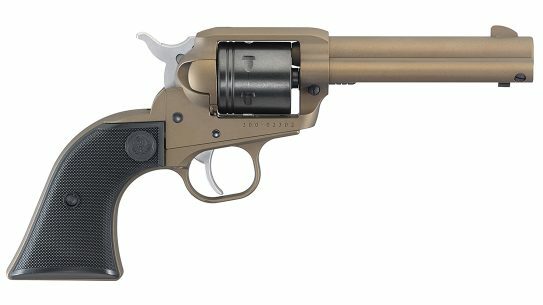 This makes the cartridge 35-percent lighter with 12-percent less volume than conventional brass-cased ammunition. CT ammunition is made in a similar manner as conventional metallic ammunition. The bullet and primer are exactly the same. But CT tubes can be made to handle a greater variety of projectile designs. 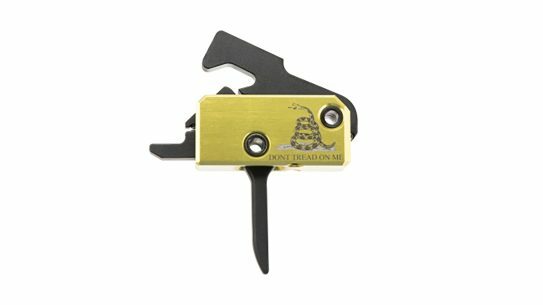 The entire case—instead of the case neck—holds and supports the bullet. Textron has been using a custom blend of ball powder. There are some slight differences needed compared to metallic ammunition, but it is a blend of propellants already available. The CT case is made of injection-molded plastic derived from a high- quality, medical-grade polymer. 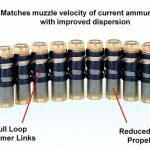 There is a “Caseless” variant of the ammunition that eliminates the polymer case so that all of the components aside from the link are fully consumed during firing. If successful, this configuration will potentially offer additional reductions in weight and volume. 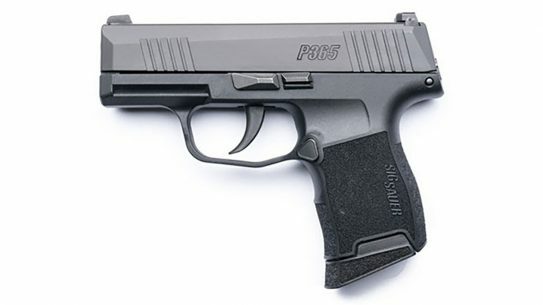 This radical change to the ammunition design was accompanied by equally radical changes in how the firearm functions. 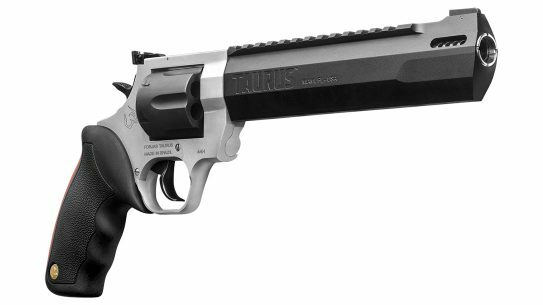 Most conventional long guns have the chamber cut into the back end of the barrel. CT weapons feature a firing chamber separate from the barrel. This moves the CT cartridge from the feeding mechanism into alignment with the bore prior to firing. 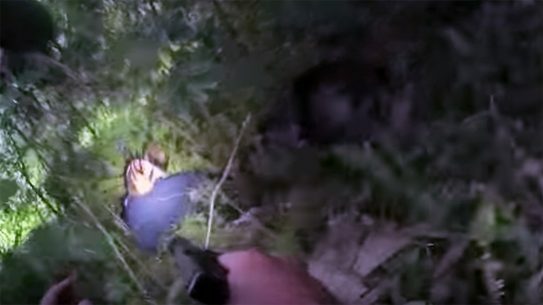 In belt-fed machine guns, the cartridge is rammed in from the feed tray and out of the disintegrating link into a pivoting chamber, pushing out the fired CT tube still in there to eject it. Then, the chamber pivots down counterclockwise 90 degrees toward the port side to line up with the barrel for firing. It then rotates back up clockwise to repeat the cycle. 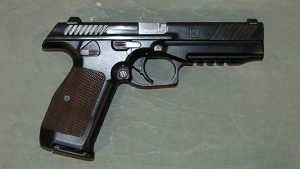 As an open-bolt design, the chamber is not loaded (though the fired CT tube remains in place) until the trigger is depressed. But you don’t have to worry about the tube, as it is automatically pushed out and ejected on the next burst or during immediate action in case of a stoppage. For maintenance or prior to storage, the spent tube can be manually removed, but there is never a need to do this quickly, as normal operation does it automatically. This separate pivoting chamber removes the need for a brass case to act as an ejectable heat sink. While any properly functioning open-bolt weapon avoids cook-offs by not chambering until firing occurs, the CT design mitigates this further as the pivoting chamber is completely separate from the barrel. Plus, the polymer case is a better insulator of heat than brass, better protecting the propellant inside. 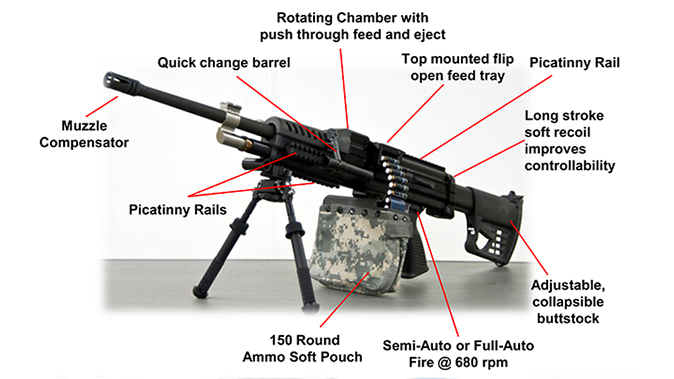 The 5.56mm LSAT CT LMG was the first weapon based on this design. 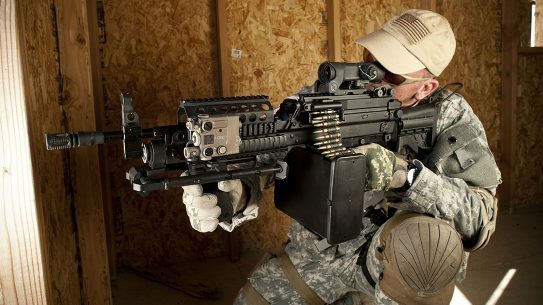 It’s intended to replace the M249 (FN Minimi) with equal performance in a much lighter package. 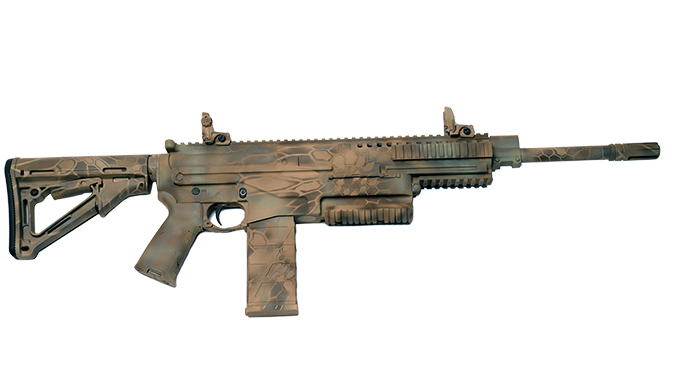 Textron Systems followed with a 7.62mm NATO version based on the same design and technologies to replace M80A1 ball and the M240 series (FN MAG 58) with significant weight savings. 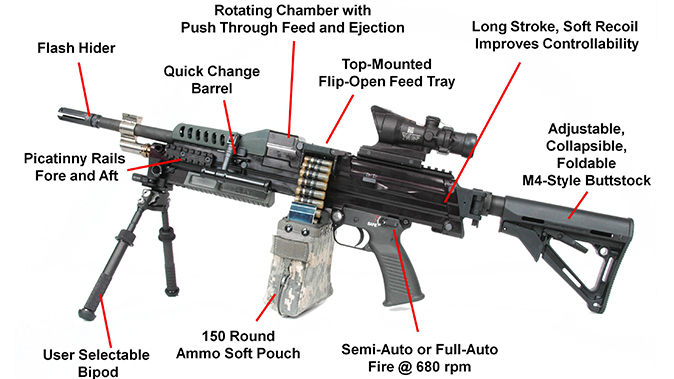 Despite being a general descriptor of “Lightweight Small Arms Technologies,” the LSAT label was often associated with the initial 5.56mm design. 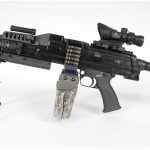 Therefore, Textron Systems has labeled the 7.62mm version as the CT MMG (Medium Machine Gun) to provide a clear differentiation. 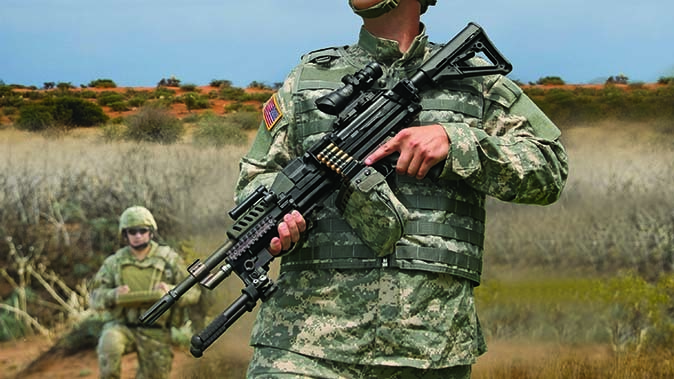 Branching into rifles and carbines, Textron Systems began with a study of caliber optimization. It concluded what competition shooters had already discovered: A 6.5mm projectile offers a more streamlined bullet for a high ballistic coefficient with minimum recoil. Competitors have been dabbling with 6mm to 6.5mm projectiles and various chamberings to take them for many years. They ultimately settled on a variety of 6.5mm cartridges as ideal. Textron Systems’ study found that the weight and performance of bullets with a caliber around 6.4mm to 6.7mm is about optimum. 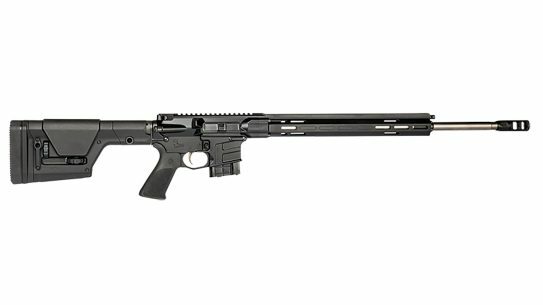 Given that a number of quality 6.5mm bullets were already on the market, Textron Systems settled on that for its 6.5mm CT Carbine. A closed-bolt, magazine-fed weapon, the 6.5mm CT Carbine uses a chamber that slides up from the magazine to fire and drops down upon firing instead of pivoting from a feed tray. In addition to the caliber optimization, Textron Systems wanted to try a different caliber to test multi-caliber compatibility. The 6.5mm CT ammunition uses the same-sized polymer tube as the 7.62mm CT cartridges. At least for testing purposes or with armorer/gunsmith support, a caliber change can be enacted by swapping the barrel, as the chambers and operating systems remain the same. With a CT system, the polymer tube is not governed like metallic cases in today’s cartridges. For example, just within 5.56mm NATO firearms, varying chamber dimensions such as the .223 Wylde differ from 5.56mm NATO specifications. Changing requires a new barrel cut with a different chamber reamer. With a CT firearm, however, any caliber or varying bullet dimensions that can fit inside the CT tube with sufficient propellant could be made to work as the chamber and tube maintain the same size and dimensions. 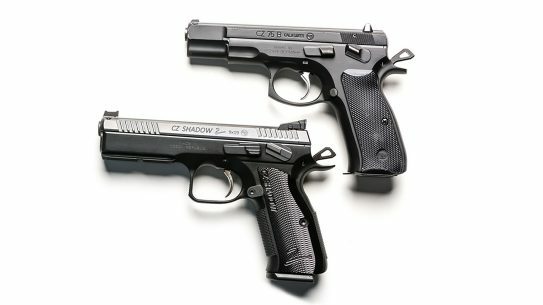 This has the potential for much more leeway with bullet design and calibers, provided the CT envelope is the same size. In addition to reducing heating and cook-offs, case-head separations and extraction problems aren’t possible. Even if the polymer tube ruptures, the feed cycle rams the chamber clear by pushing forward and out the ejection port. While the polymer deforms too much after firing to attempt reloading, it contracts back down to original dimensions better than brass. While complete tests haven’t been made, the accuracy potential seems good. Textron Systems uses a Mann barrel testing fixture. 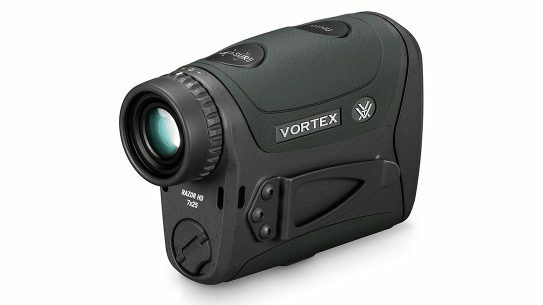 It has found mechanical accuracy, pressure and velocity are comparable to metallic counterparts. Field testing with the 5.56mm LSAT demonstrated improved hit probability. But this was due to Textron Systems’ improved long-stroke, soft-recoil gas system. 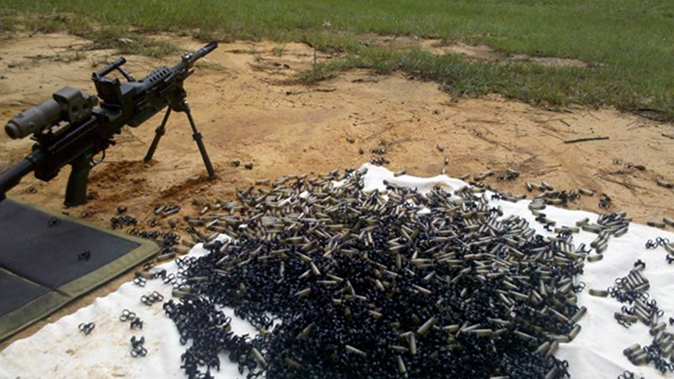 Soldiers said they felt the gun moved less during bursts despite the lighter weight. The carbine hasn’t been tested beyond demonstrating it is comparable to currently issued M16/M4 weapons. How about cost? Being a medical- grade plastic, the prices for the polymer CT tube vary with the commodities market, just like metal. In practice, despite an injection-molded part being potentially easier to make than extruding brass, the cost of CT ammunition is about the same as equivalent metallic-cased ammunition—for now. Should CT-based systems become common issue, economy of scales may improve that. At worst, CT ammunition can be manufactured for a comparable price. 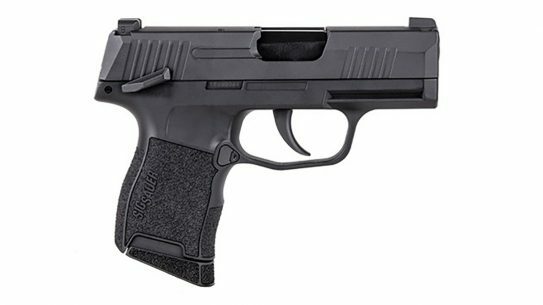 This piece is from the August/September 2017 issue of Tactical Weapons Magazine. To subscribe, please visit OutdoorGroupStore.com.